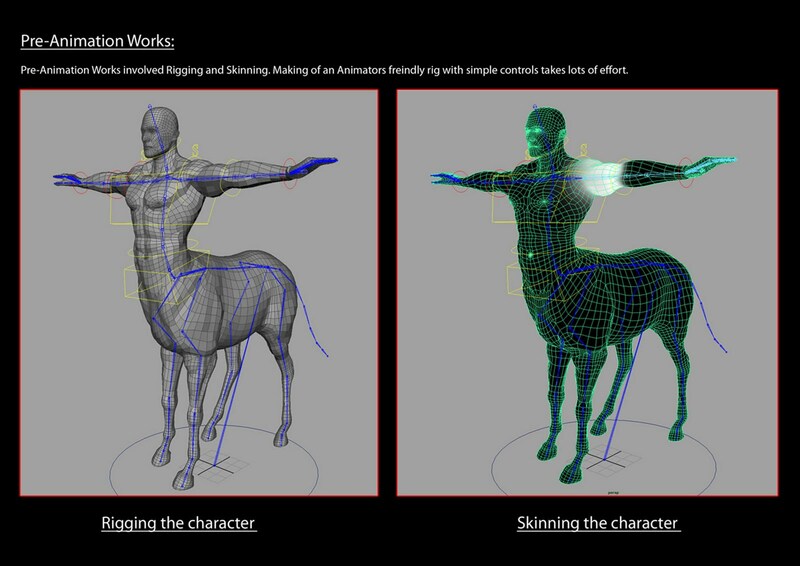 Rigging and skeletal animation is used for TV shows movies and video games the reason for this being it’s cheaper for studios and it allows them to make the mesh over exaggerate things and do exactly what they want them to do they can also make them do unrealistic things. Rigging is a process that occurs after a mesh has been made, once the mesh has been made it will then be rigged by a character technical directors also known as a rigger. Rigging is generally used to animate things that have some kind of skeletal structure things from Humans to robots and animals to actually animate the mesh properly you must create a sequence of bones and then move the said bones in different key frames so that the mesh can move from one position to another position. To make the mesh move smoothly and to get into realistic poses you must add two things IK chains and parenting this is where your would parent a number of bones to one bone an example of this would be on an arm the shoulder joint will be the parent and the upper arm the child which means whatever direction the shoulder joint goes the upper arm will follow this continues all the way down to the finger. IK chains are added onto the mesh’s joints this is done so that the mesh will let it to make alterations to different bones in other key frames. This entry was posted in Unit 34 image manipulation.